After several years of deferrals, I finally got around this May to penning a post for the Ohio State University's Triplehorn Insect Collection. I'll take this opportunity to shamelessly self-plagiarize. I have always been fascinated by insects, but it was not until, at age 15, I took a week-long field insect taxonomy course at the Ohio State University’s Stone Laboratory. There, I learned the conventions of arthropod collection and preservation and something of proper curatorial practices. Ever since, I have steadily accumulated a collection with pretensions made modest by the limited resources of a teenager; and collection and identification remain an exceedingly enjoyable activity for me. Therefore, it was only natural that I gravitated to the Triplehorn Insect Collection upon commencing my undergraduate career. Sorting unidentified specimens was easily my favorite task there. 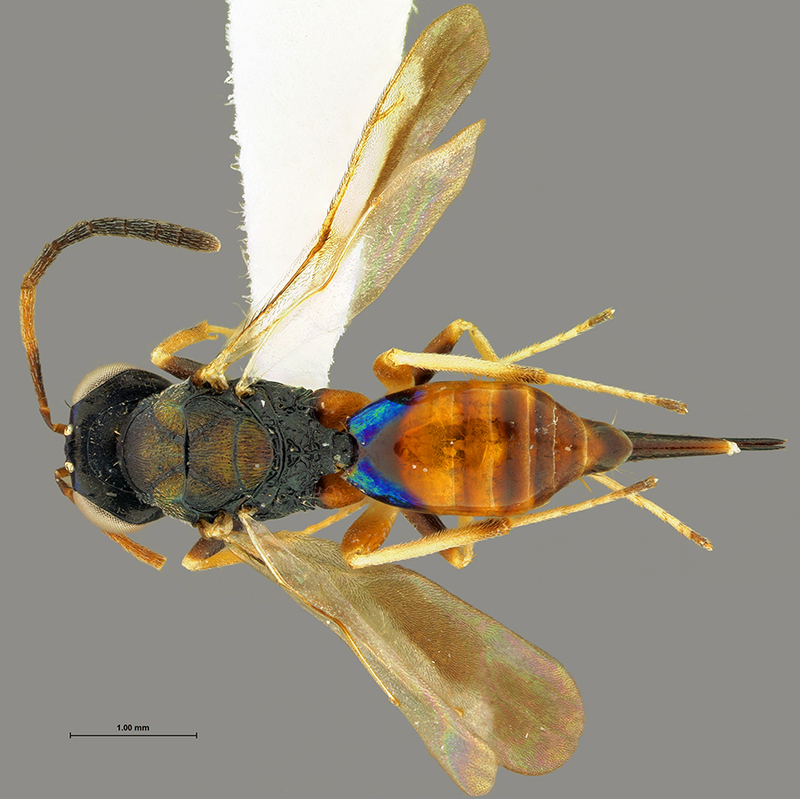 Although the collection contains the full range of insect diversity, those specimens that I was tasked with identifying almost always belonged to the order Hymenoptera—often casually referred to as “ants, bees, and wasps”, but technically including far more taxa than simply those that happen to have colloquial names. Being one of the four most diverse insect orders, the variety of Hymenoptera is considerable: and I encountered much of their phylogenetic span through this process, while becoming intimately familiar with Goulet and Huber’s tome Hymenoptera of the World: an Identification Guide to Families (1993) (PDF), the monochromatic line drawings within which—printed on thick, coarse paper—have caused hymenopterists to nickname it “the coloring book”. 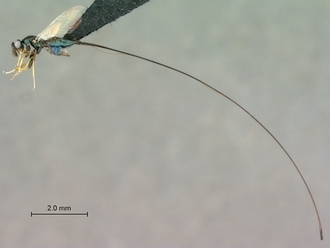 This diminution has also resulted in a lack of taxonomic attention from entomologists, and chalcidoid systematics is by consequence a frustratingly opaque matter—something one is immediately impressed with while attempting to identify the miniscule things: keys are peppered with qualifiers like “usually” and “most”, not to mention annotated with lengthy footnotes elucidating the exceptions to each couplet. The fundamental problem at hand, as Goulet and Huber point out, is that chalcidoid families are often defined by combinations of characters, as opposed to singular traits that are unique to that taxa and none other (autapomorphies, in cladistic terms). This has resulted in a superfamily littered with taxa whose boundaries are under constant debate (e.g., the Agaonidae) or that do not hold up to scrutiny whatsoever (the grossest wastebasket taxon of flagrant wastebasket taxa, the Pteromalidae). Chalcidoids are hardly deserving of this neglect, considering their ecological and numerical diversity (they possibly constitute 10% of all insect species; Noyes, 2003). I would have impartially respected this significance regardless of my work at the Collection, but parsing through unit tray after unit tray of nigh-microscopic specimens representing untold numbers of species—each one a chalcidoid—gave me a concrete grasp of that abstraction. I still have strong visual impressions of many of them: the subtly turquoise, spatula-shaped abdomen I swiftly came to associate with the Tetracampidae; the minute serrations on the inner rims of a stocky chalcidid’s femora, making its thighs appear like chitinous razors; the oar-like forewings of many an insubstantial mymarid, fringed with haloes of setae; the metallic, spindle-shaped abdomen that accounted for two-thirds the length of a sycoryctine. I am not the only one to have thought them often quite showy under sufficient magnification: Alexandre A. Girault, a notoriously verbose chalcidologist, spoke of the tiny wasps as “gem-like inhabitants of the woodlands, by most never seen or dreamt of” (Thomer & Twidale, 2014). Suffice it to say, without my work at the Collection, I would not have seen nor dreamt of so many chalcidoids. Mockford, E. L. (1997). 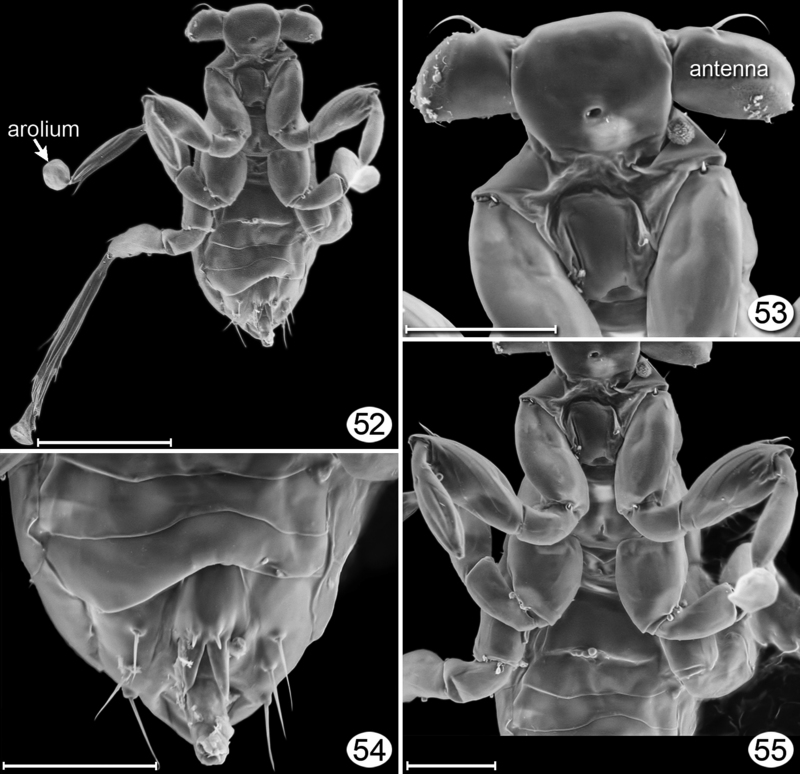 A new species of Dicopomorpha (Hymenoptera: Mymaridae) with diminutive, apterous males. Annals of the Entomological Society of America, 90, 115-120.